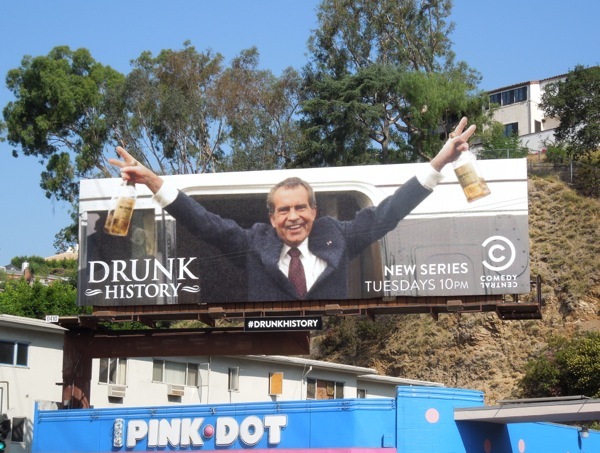 Happy 4th July everyone, and what better way to celebrate this patriotic event than a very merry 'President Richard Nixon'. 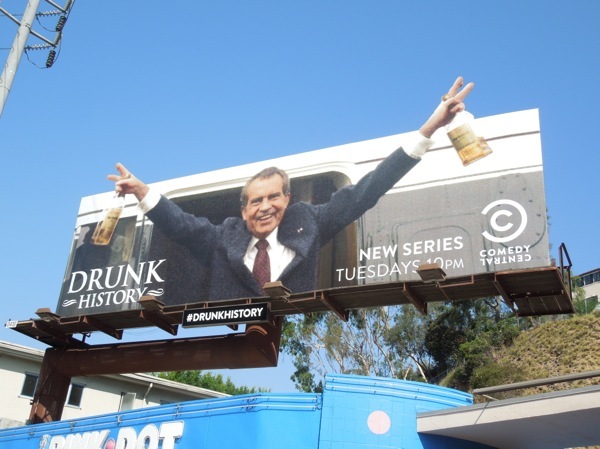 In case you're wondering what the 37th President of the Unites States is doing with his hands full of liquor, it's to toast the arrival of the viral hit web series, Drunk History, which is making its way to a TV screen near you courtesy of Comedy Central. 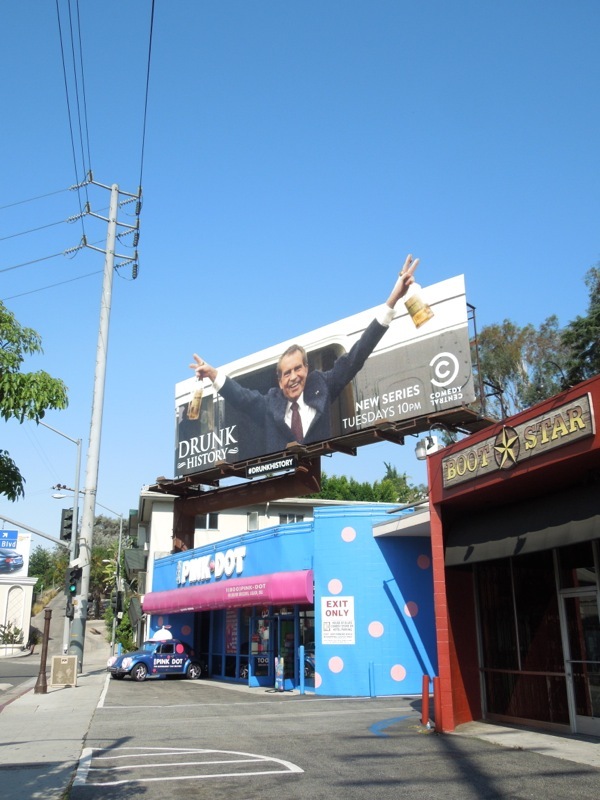 This fun special extension billboard parody of Nixon's infamous 'V' for victory sign pose is certainly a provocative and eye-catching way to kick off the new show (although Daily Billboard is slightly surprised you're allowed to do this kind of thing to such historic figures). If you want to see Jack Black as 'Elvis', Adam Scott as 'John Wilkes Booth' or Bob Odenkirk as 'Richard Nixon', seen through a slightly inebriated view of history, then this is the comedy show for you. 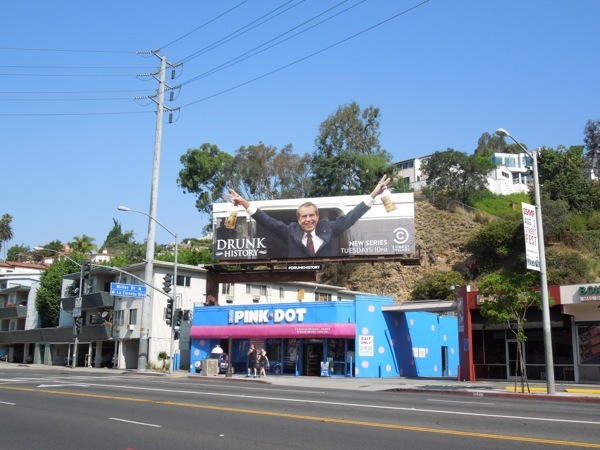 This hilarious series premiere billboard creative was spied in Comedy Central's regular ad site along L.A.'s Sunset Strip on July 2, 2013. 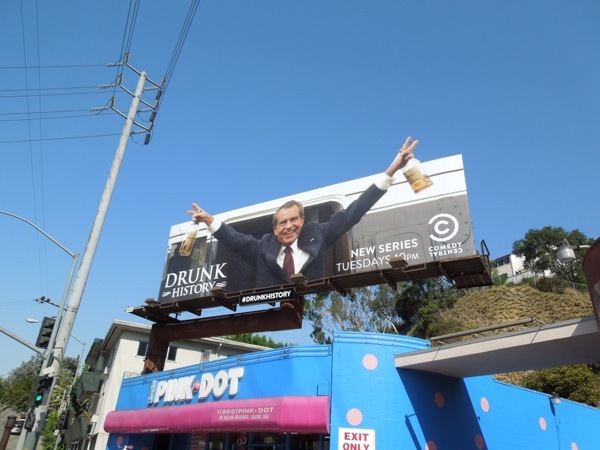 Let's all raise a glass to American history on this national day of celebration.